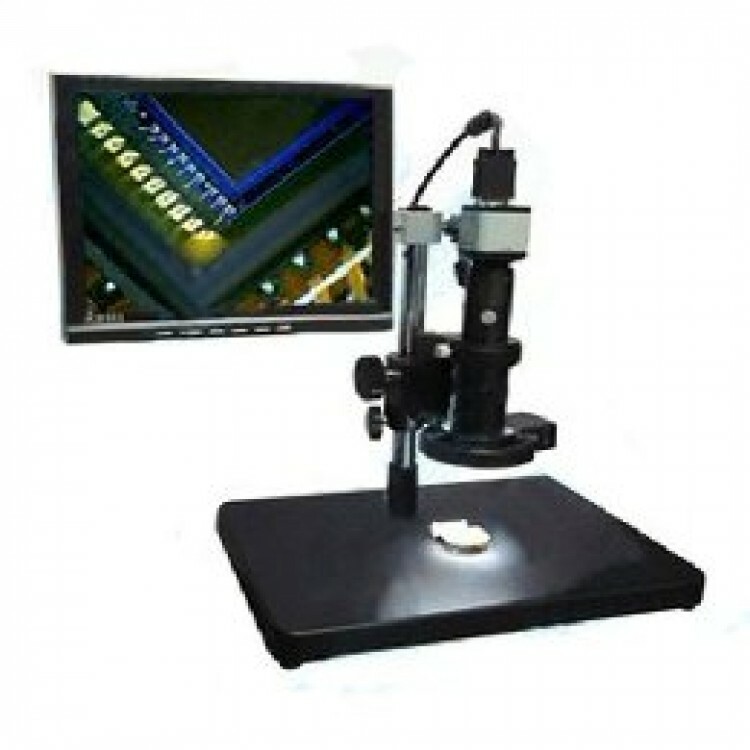 A professional industrial VGA microscope with 8" VGA display. Very useful for inspecting every kind of electronic and mechanic components, PCBAs, soldering pads, welding seams, material surface or anything else. Because of the VGA display there is no need for an additional computer, so it can be used independently on any kind of workspace in school, laboratory or production line. But if necessary the VGA output of the camera can be used also for other displays, projector or VGA input for recording pictures or images. The light ring around the camera provides bright light during inspection while the adjustment of the height and focus are precise and easy to use. The design of the camera, light and stand is rugged and reliable and designed for a long lifetime.